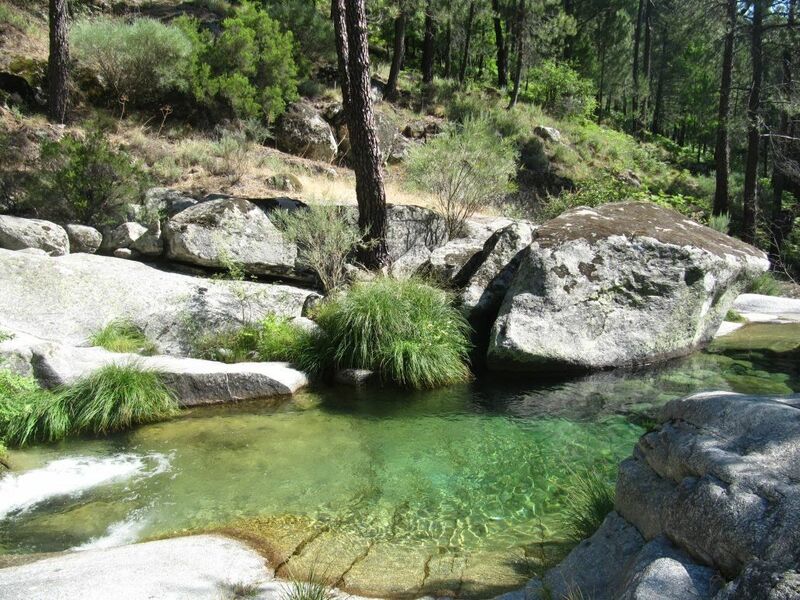 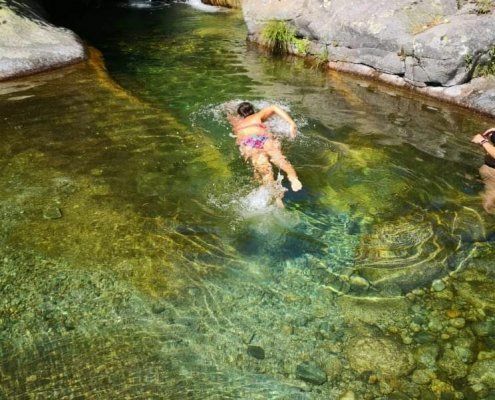 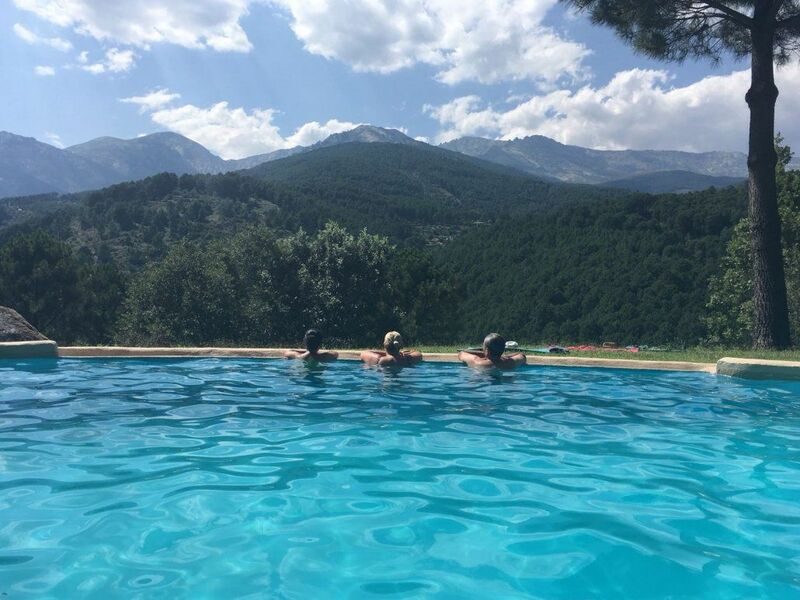 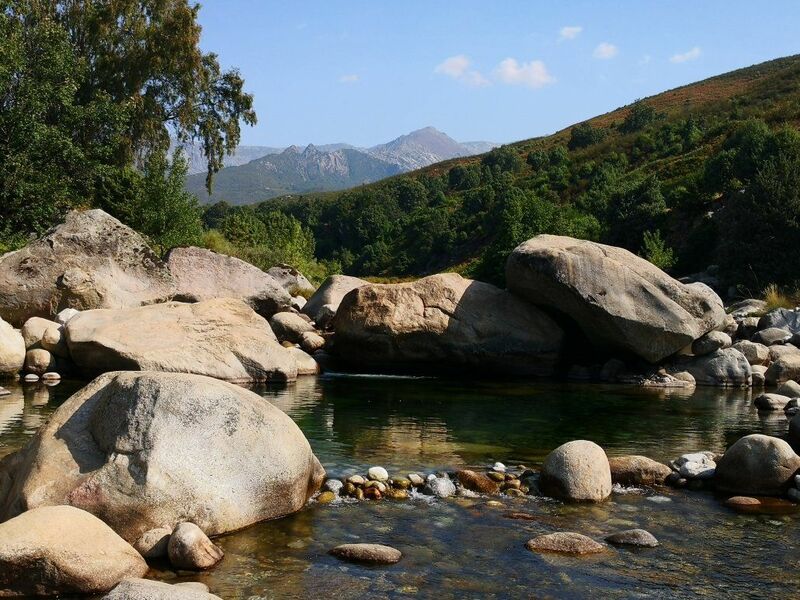 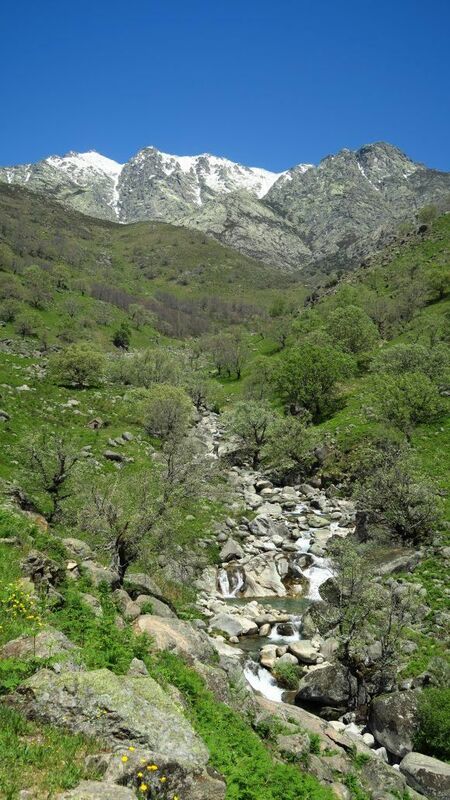 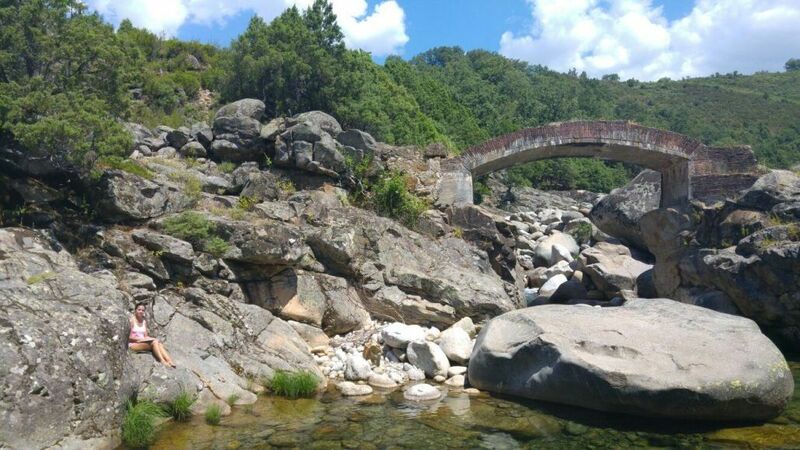 Listening to the descent of pure water that flows strongly from the Gredos Mountains is a unique experience. 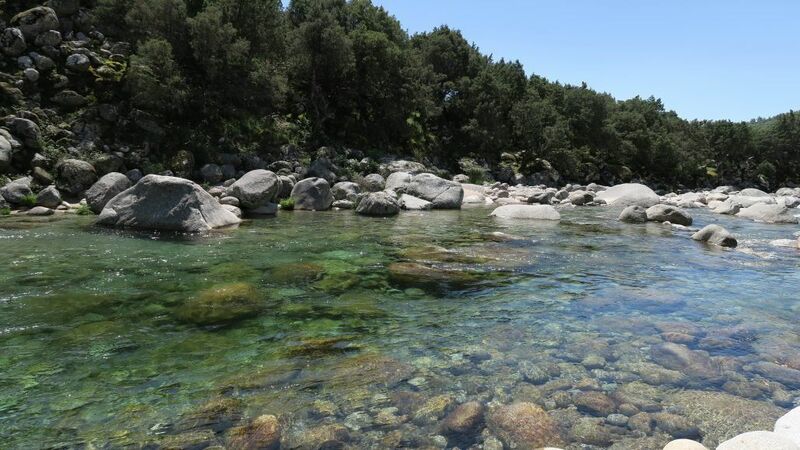 You just need to sit on one of the big, sun-warmed stones, close your eyes, and feel how your vital energy harmonizes with the immense purifying, healing and transforming potential of water in motion. 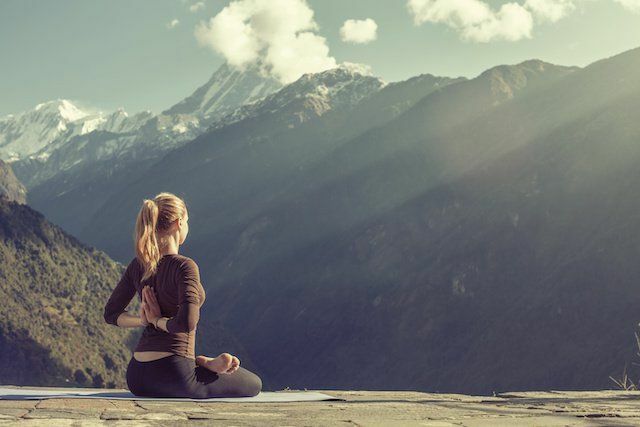 The mind becomes calm and open naturally to dive deeply into the daily practice of yoga and meditation. 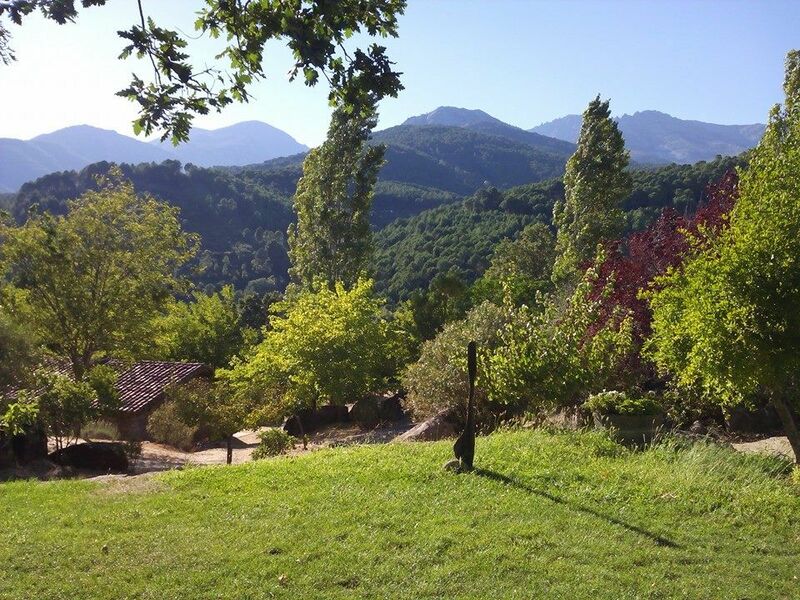 Our partner retreat center is located on 14 hectares of land, close to dozens of the gorges and pools that irrigate the Tiétar Valley. 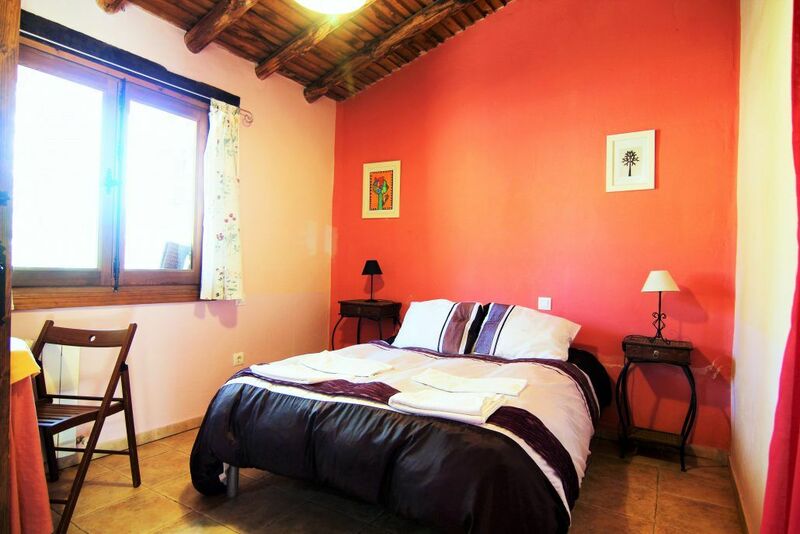 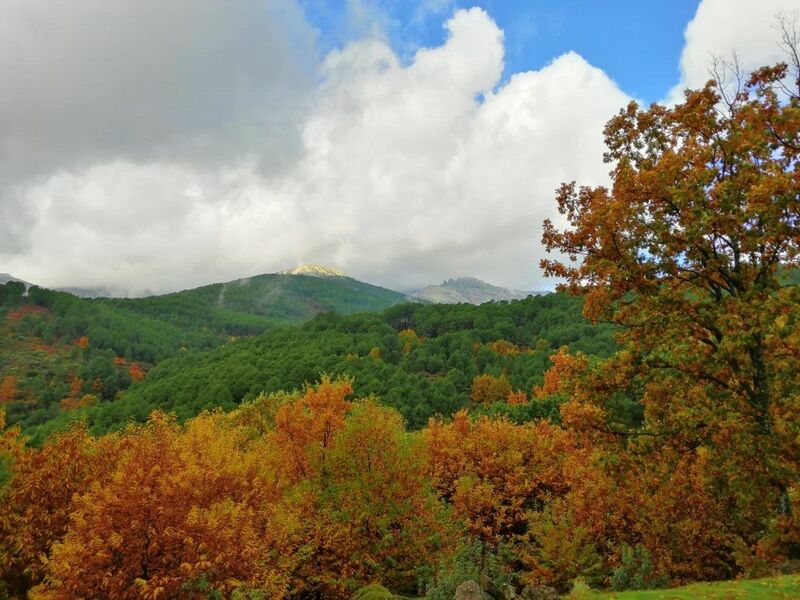 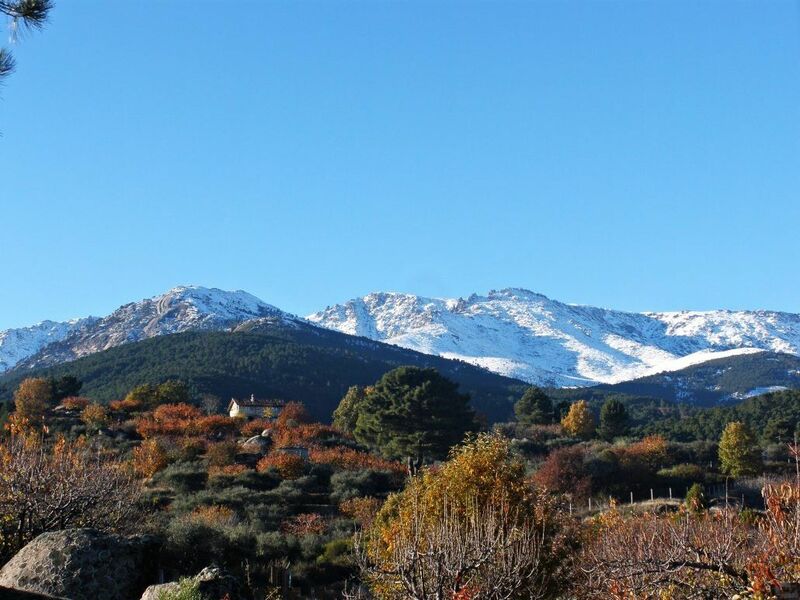 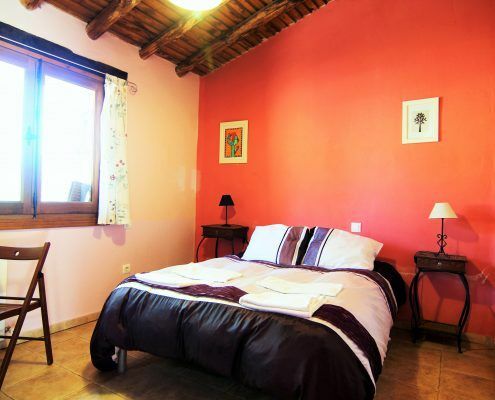 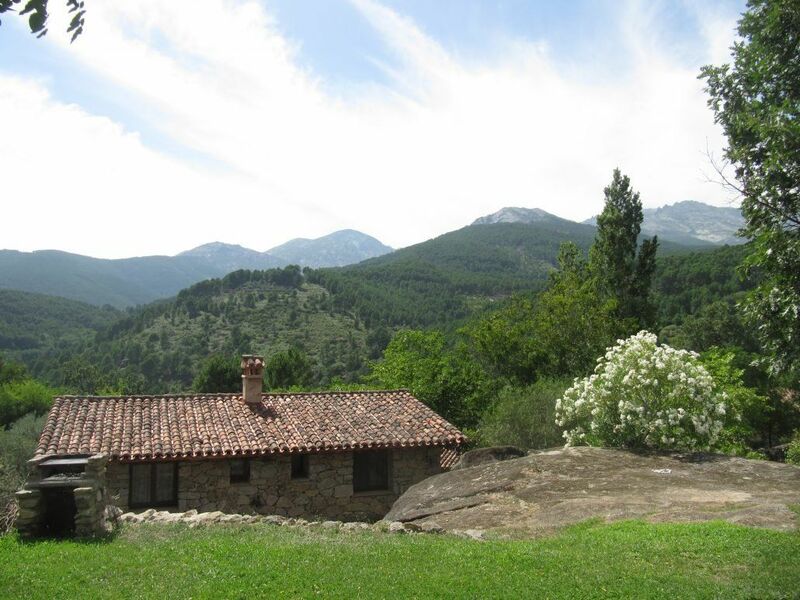 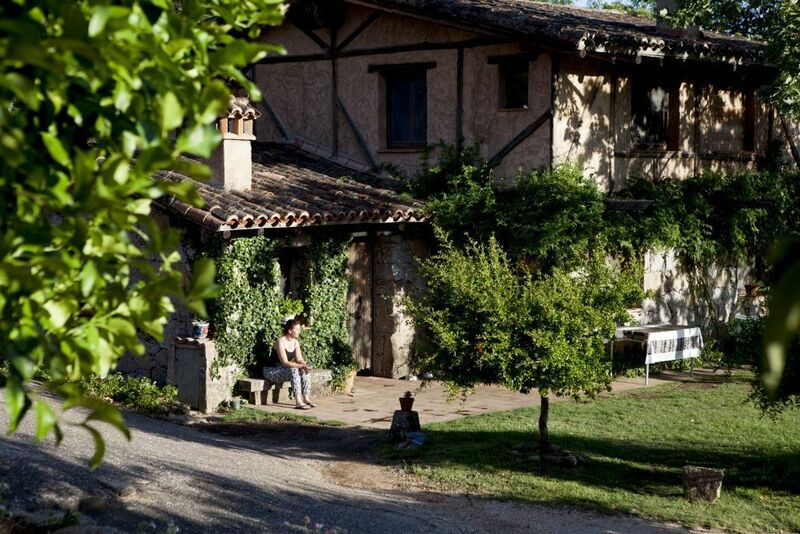 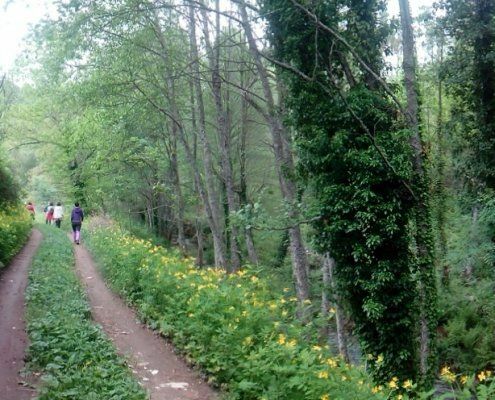 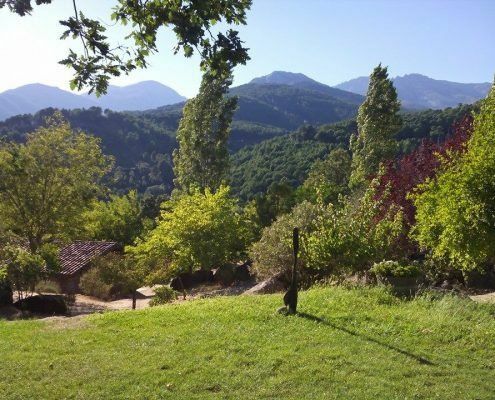 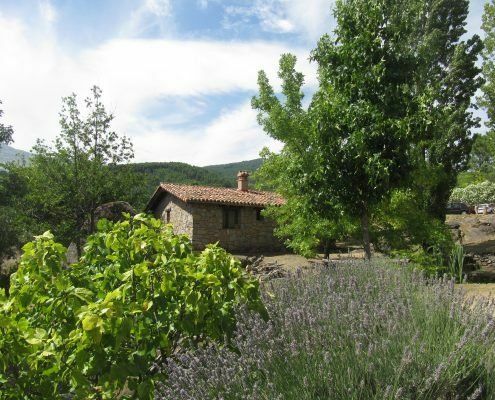 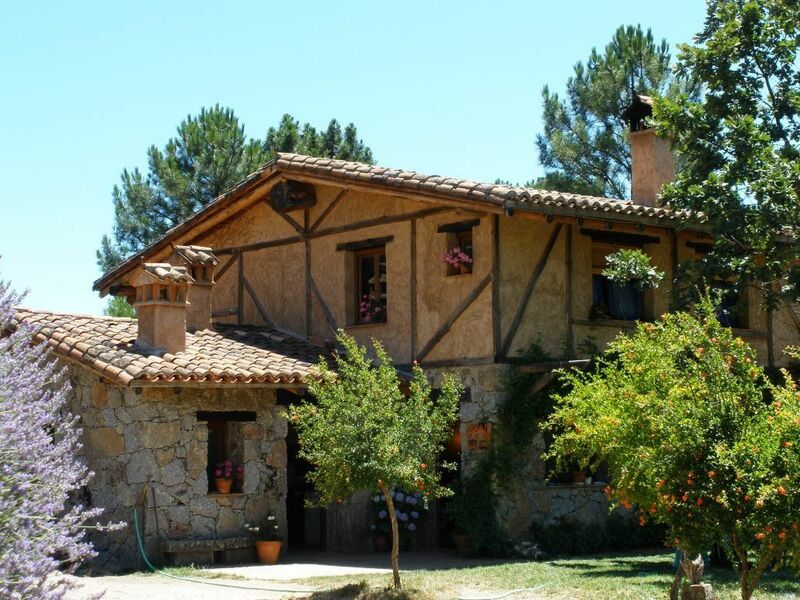 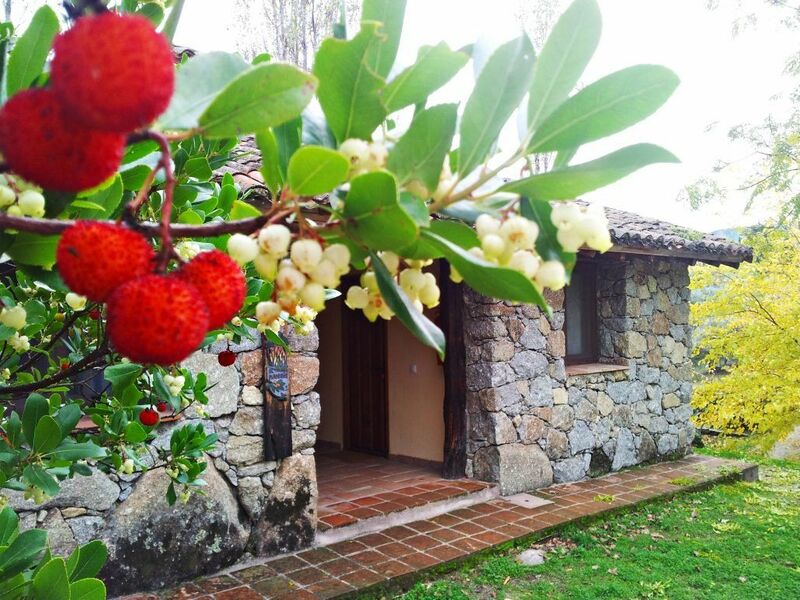 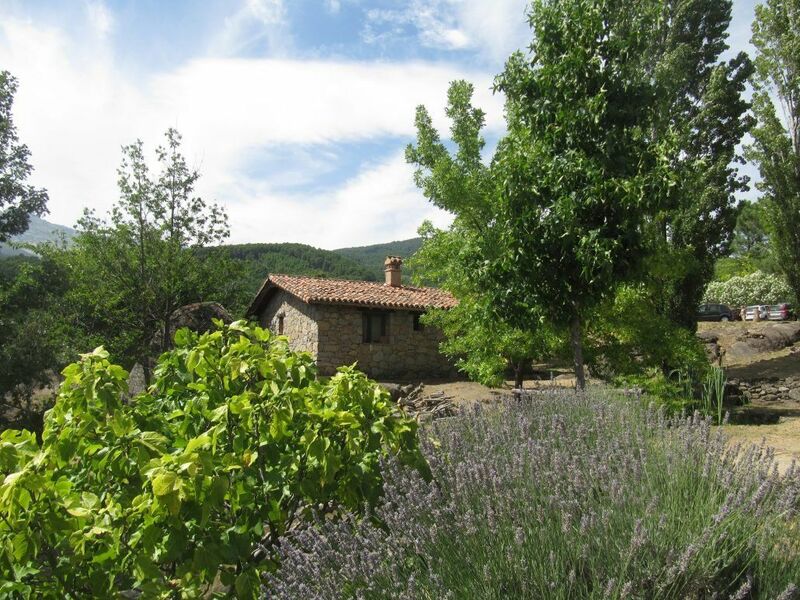 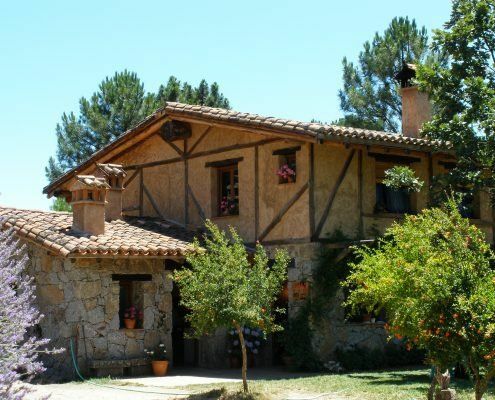 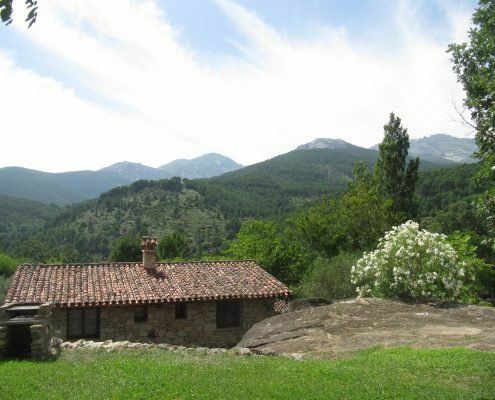 It is just a 90 minute drive from Madrid, with stunning views of the mountains. 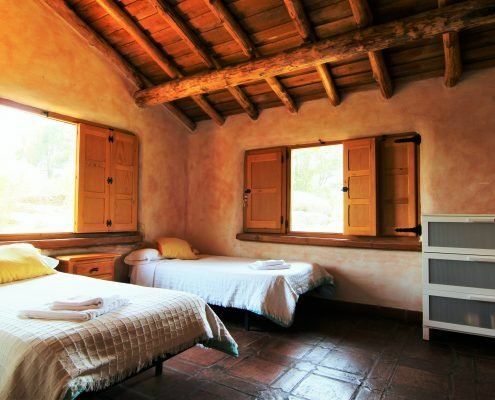 Designed to blend into the landscape, there are 20 rooms (double and single) with ensuite bathroom, distributed among six stone and chestnut wood cottages. 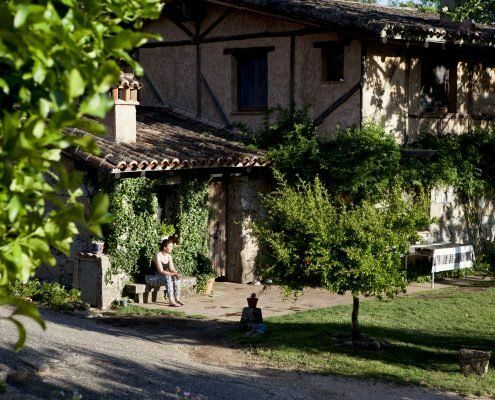 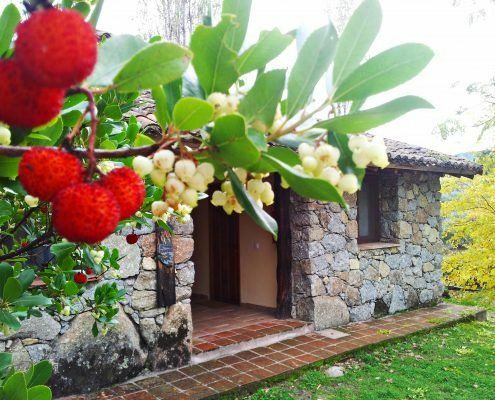 Inside the property you can find heavenly spots with immense rocks that form giant sculptures, abundant water, fountains, oaks and fruit trees. 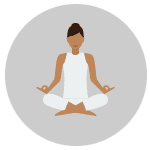 There are many ideal places to rest between classes, walk, socialize, or meditate. 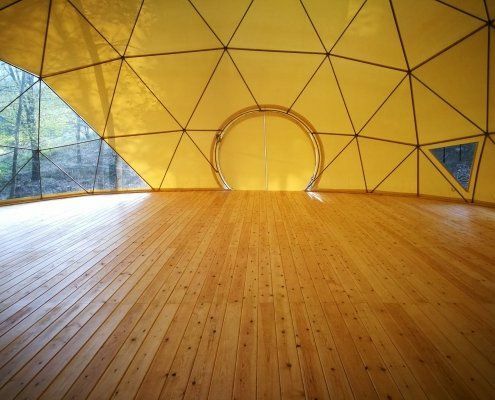 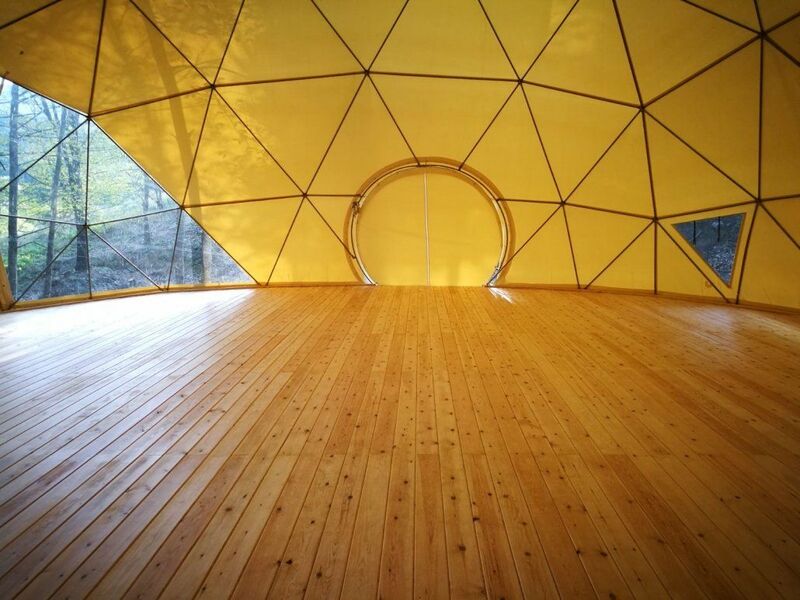 The yoga classes are held in an amazing 140m2 dome in the middle of the forest. 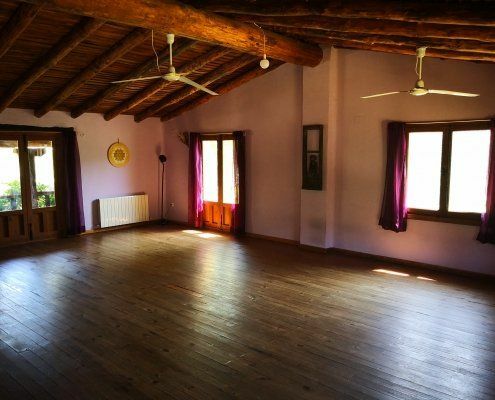 You can look to the movement of the threes, listen the singing of the birds and wacth the change of the light, while you are doing your practice. 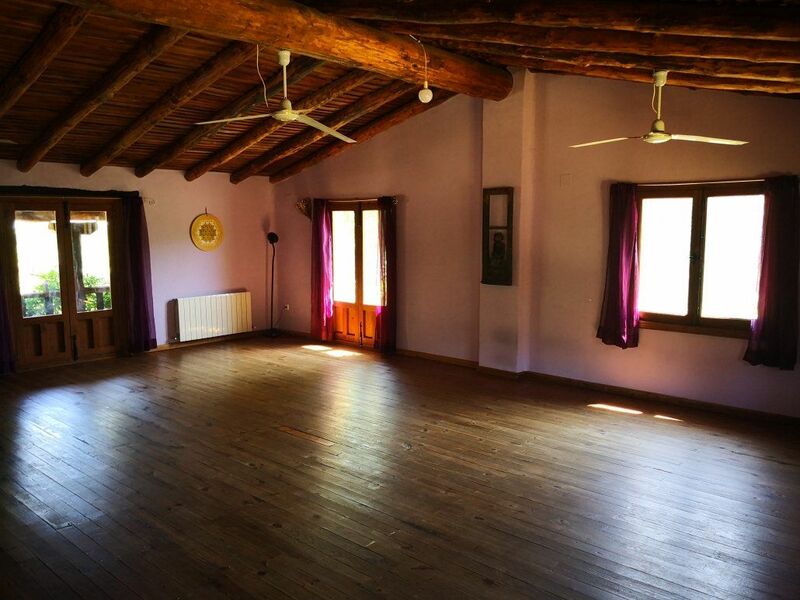 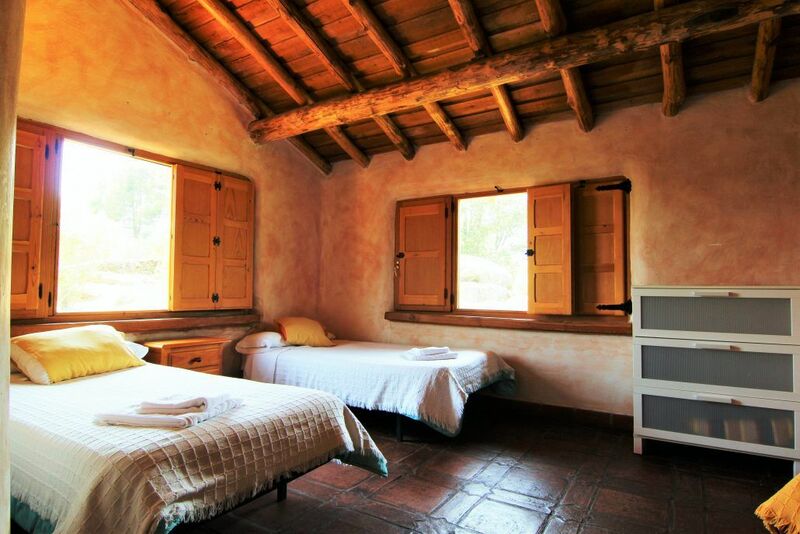 There are also a more intimate 65 m2 yoga shala with wooden floor, located on the top floor of the house, for indoor yoga practice or meditation. 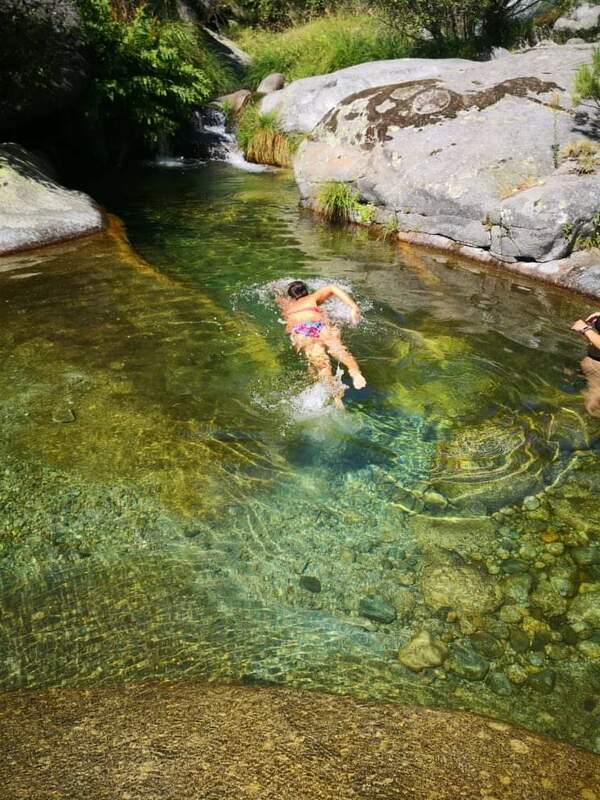 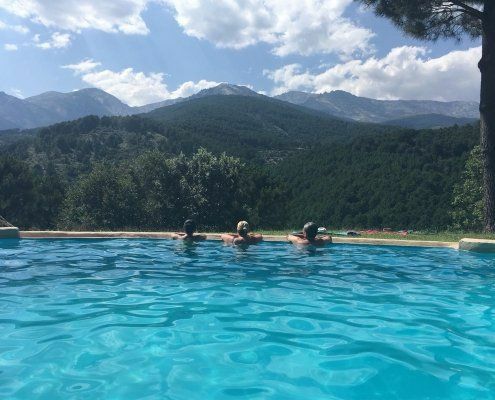 In summer you can enjoy the natural swimming pool that is oxygenated with waterfalls and cleaned with sea salt instead of chlorine, while in winter you can warm up inside the cozy dining room with fireplace. 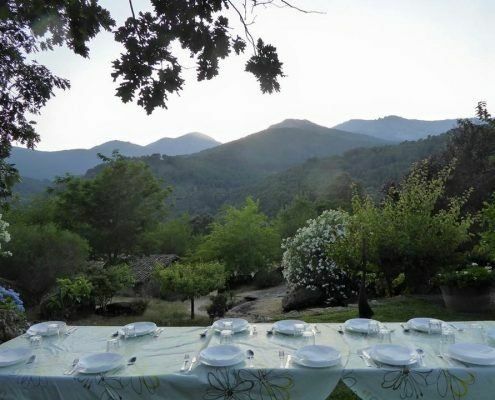 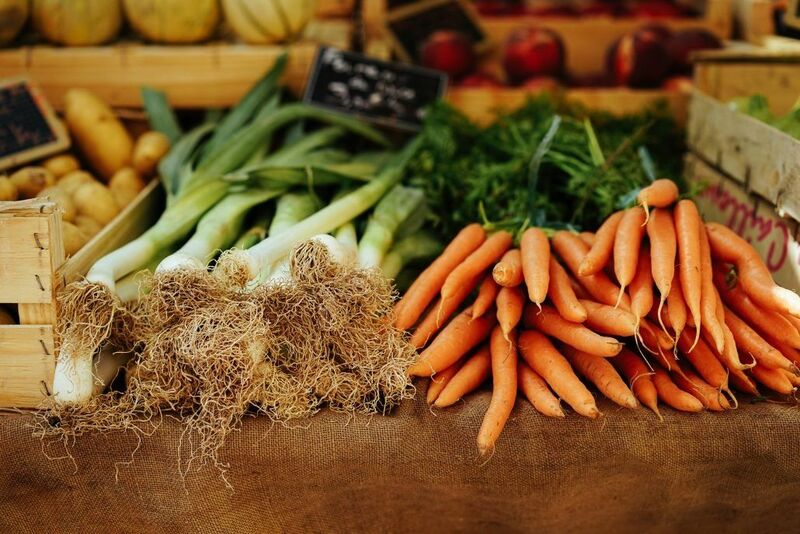 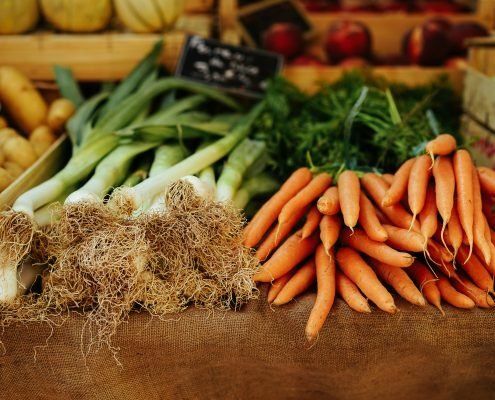 The food is homemade, traditional and made with excellent local products. We like it even more when we taste it sitting at the outdoor garden, whilst enjoying panoramic views.